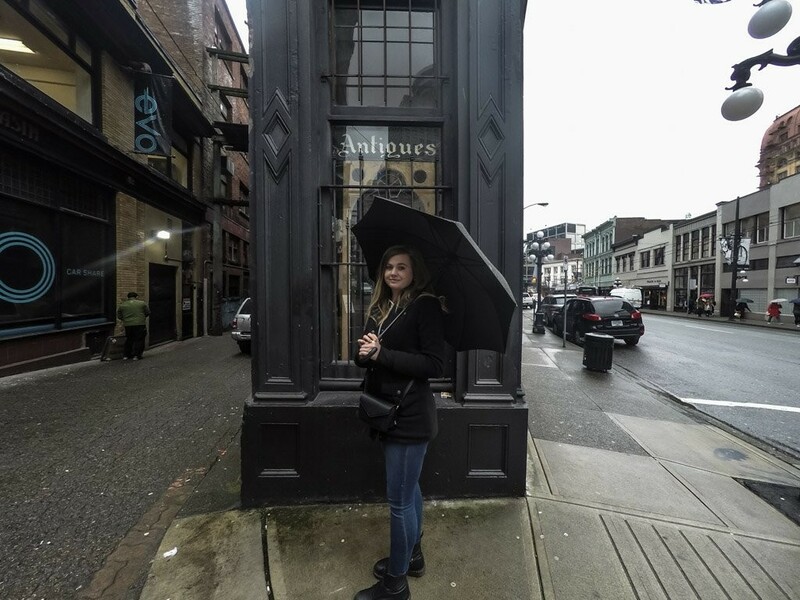 Gastown is one of Vancouver’s oldest and most haunted areas, yet today it is a bustling, trendy and up coming part of town. 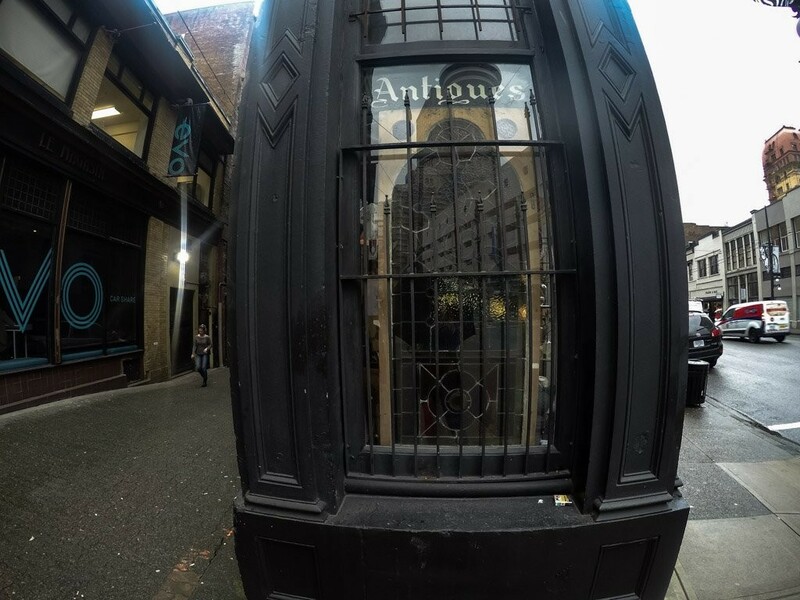 Nestled in one of Gastown’s oldest and first brick made buildings sits a store, untouched by change and trapped in a time since past. The store, Salmagundi West, is a unique emporium of antiques, a local treasure and rumored to be one of Vancouver’s most haunted places. Standing out front of Salmagundi West, Vancouver’s most haunted shop. 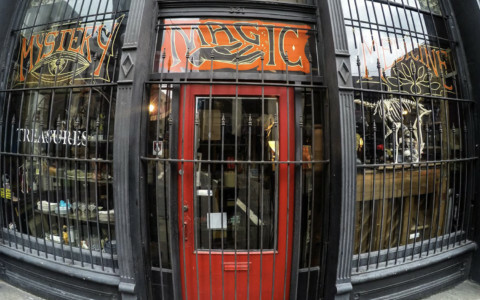 Operating since 1973, Salmagundi West has become an essential piece of Vancouver history. Selling a quirky and assorted selection of antiques, curiosities, vintage items like clothing and jewelry, oddities, dolls, local products and others from around the world to people from many walks of life. Occupying the ground floor and basement level of its building, Salmagundi West contains thousands of fascinating items. It is a self described magical emporium and with so many reports of the unexplained and mysterious occurrences emanating from within the store, this might just be an accurate description. Side view of the building that houses Salmagundi West. The building that houses Salmagundi West was built in 1889 and no doubt has a lot of history and stories of its own to tell. 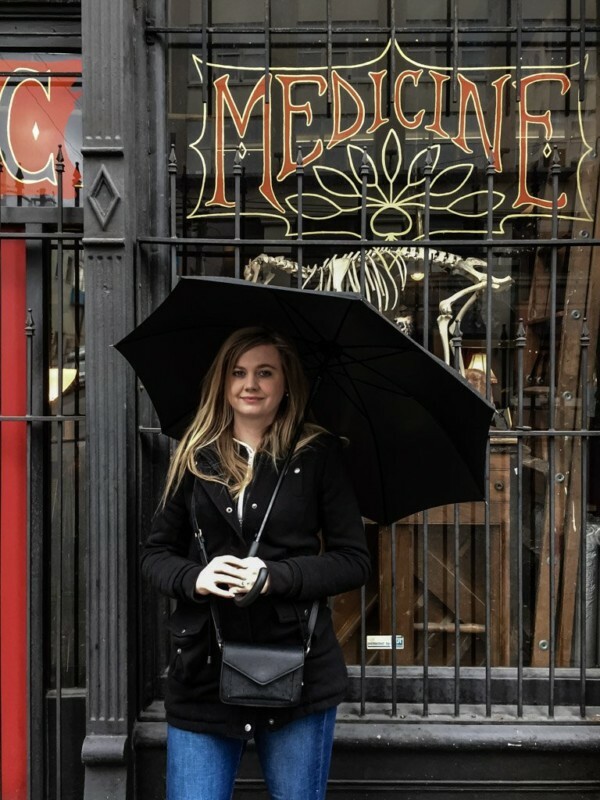 This, paired with the store’s vast collection of items thought to hold energy and the possibility of being connected to spirits, make Salmagundi West truly haunted. 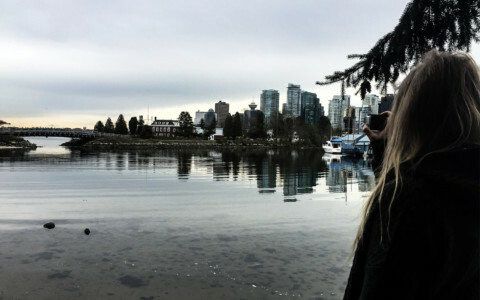 A few stories demonstrating haunted connections to objects within Salmagundi have become popular legends within Vancouver. One of these involves a Victorian Love Note Bracelet. This jewelry item was kept in a sealed glass cabinet. At the request of a guest this cabinet was opened so the item could be inspected a little closer. Upon opening the cabinet the staff member and guest were shocked to receive an unexplainable gush of freezing cold, damp wind to their faces. It is believed that there was some kind of paranormal force connected to the bracelet, freed upon the opening of the cabinet. Funnily enough this experience assisted in securing the bracelet’s sale. 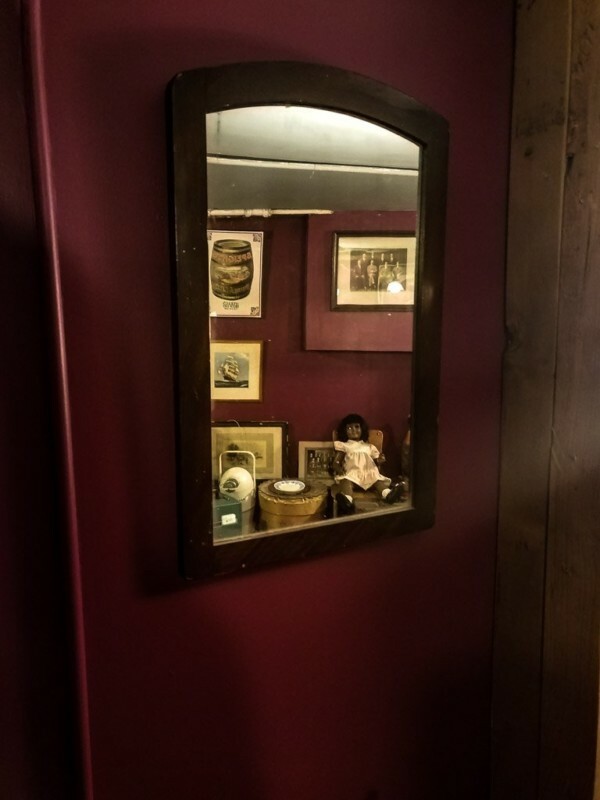 Creepy doll reflection in a mirror hung in Salmagundi West’s haunted basement. Another unexplainable occurrence involving a brass kettle has been reported. Apparently, the kettle mysteriously fell from the hook it was anchored from to the floor. Peculiarly, the kettle’s hook remained intact and it was the kettle’s handle that gave way. Adding mystery to this is the fact that the handle had not broken or snapped from the kettle, yet had somehow become perfectly unscrewed. The final and perhaps most sinister story of this type occurred in the store’s basement level. Here, a guest was looking through old photographs in search of a subject for one of her paintings. She was greeted by a woman wearing black Victorian era clothing from one of the basement’s dark crevices. She claimed the spirit asked her to find the photograph with her in it, so she could be remembered forever in a painting. Allegedly, the customer was quite spooked and opted against choosing the photograph of this woman for fear of taking the spirit home. Besides the reports of wandering ghosts constantly passing through the store as if it is some kind of portal, it is believed to house a few resident ghosts. Two of these ghosts shared a strong connection with Salmagundi West in life. Its previous owner, Lynn Brown, is thought to still offer her presence around the store, as if to check up on things. While her former partner, Gerald Giampa, is thought to be responsible for a darker more troubling presence occupying the basement. 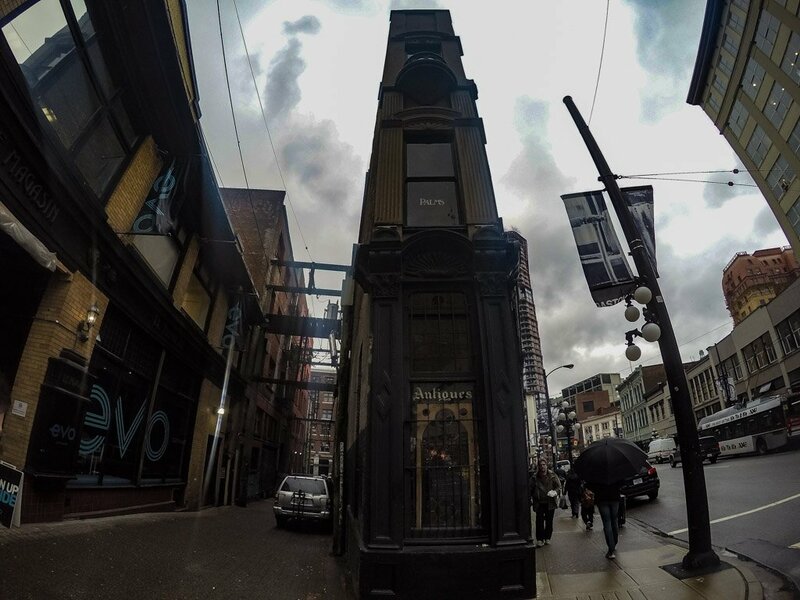 One of Vancouver’s oldest and first brick built buildings in Gastown. Dropping into Salmagundi West should be a priority for anyone visiting Vancouver and particularly those who wander into Gastown. The store is truly unique with plenty to explore. 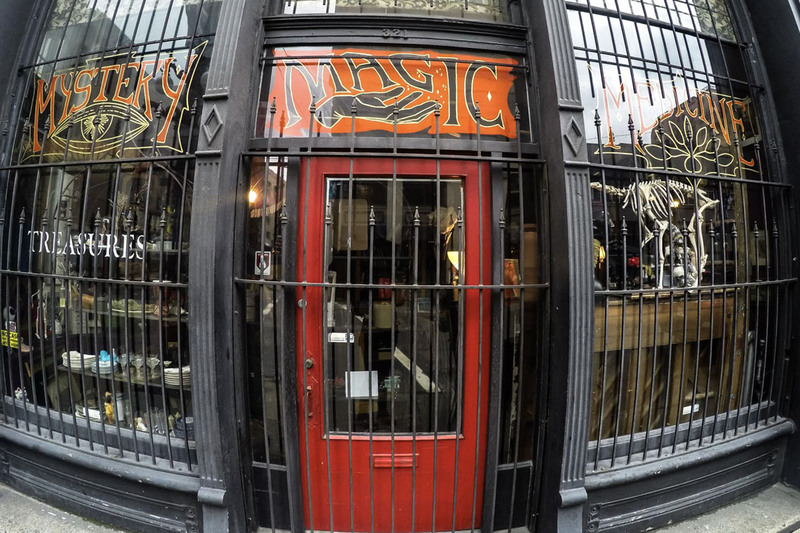 Make sure to check out the stores basement, while a little spooky, it contains some amazing items. There you will find a huge mystery cabinet with each of its many drawers stuffed with random treasures. Whether you are interested in oddities, curiosities and antiques or not, Salmagundi West is worth checking out. The staff are friendly and more than happy to chat about the paranormal stories Salmagundi West has given birth to. You’ll find Salmagundi West at 321 West Cordova, Vancouver British Columbia. Check out their Facebook page for opening hours and to plan your visit. 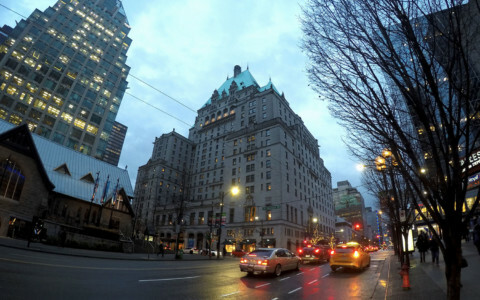 If you enjoyed this article and want to check out other haunted places in Vancouver, take a look at my blog on the Fairmont Hotel’s Lady in Red. The site is coming along really well, I really like the old saloon in New Orleans. Thanks Sonia. Glad you are enjoying it. 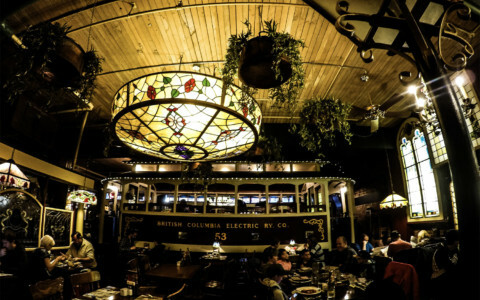 What’s Lurking in Vancouver’s Haunted Old Spaghetti Factory?